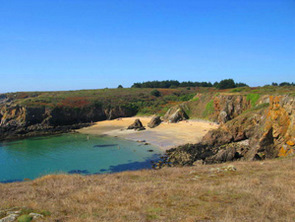 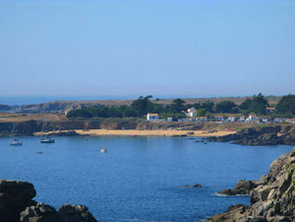 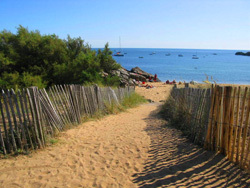 The Beaches of the Ile d'Yeu. 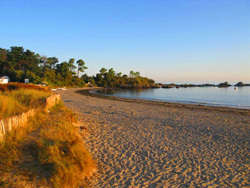 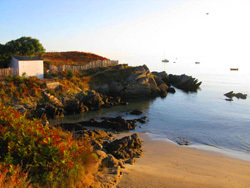 The Island of Ile d'Yeu 15kilometers off the coast of Notre dame de Monts. 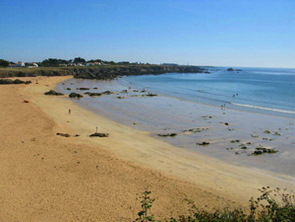 The north and north west coast are mainly rocky with only a few sheltered coves where you can find sand. 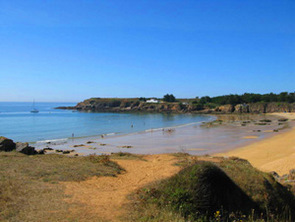 The East coast facing the mainland is basically one long beach from Port Joinville to the Lighthouse at Pointe des Corbeaux which is broken up with small rocky headlands. 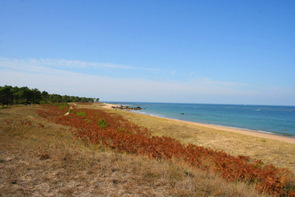 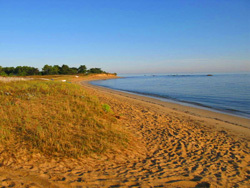 The coast is backed by pne forests to sabaliser the sand dunes. 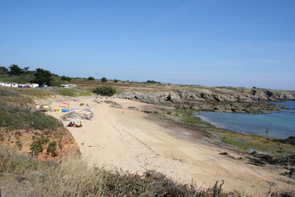 The South coast is a mixture of rugged cliffs with beautiful sandy coves and picturesque fishing harbours. 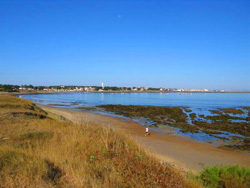 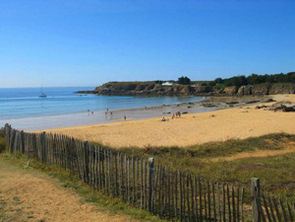 Plage de la Grande Conche.